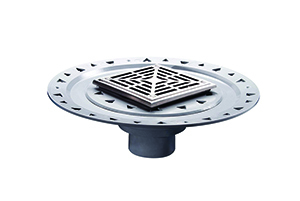 Laticrete has developed the Hydro Ban Flange Drain and the Hydro Ban Flange Tile Drain, which are low-profile floor drains that have been specifically designed for bonded waterproofing installations using Laticrete’s Hydro Ban waterproofing membrane. When installed in a shower, the Flange Drains eliminate the need for the pre-slope and primary shower pan — in adherence to TCNA B422. Crafted from precision, heavy-duty stainless steel with a brushed surface, these made-in-USA drains are scratch and wear resistant.